Our thanks goes out to everyone that helped make our brand new Virden Park a reality! Thanks to those that wrote and managed the grant money, everyone that helped clean up, set up, etc. A special thank you to NM State Representative Rebecca Dow for providing hot dogs and buns for our cookout! 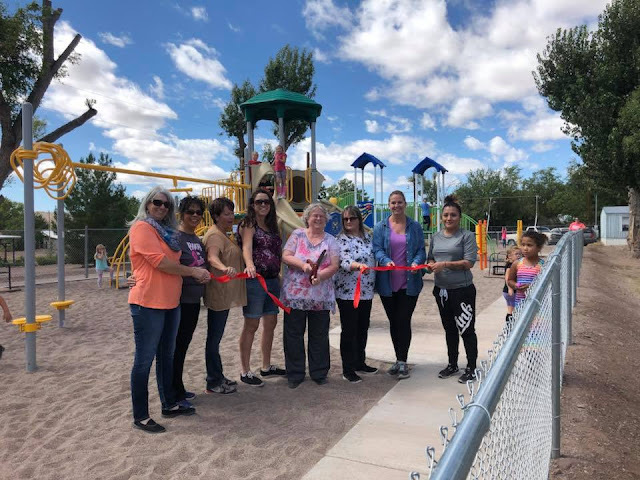 Thank you to Town of Duncan and Lordsburg Chamber of Commerce for helping with our ribbon cutting!